Claudio Toselli reports on Long Step 2006 and Giampaolo Tonello provides the pictures. For the second time ever the Italian Air Force hosted a squadron exchange with a country of the former Soviet Block. In fact after the Polish Air Force 7th ELT (Su-22) visit to the 32° Stormo in May 2006 (see also MILAVIA's Polish Air Force Su-22 Fitters at Amendola report), the 5° Stormo based at Cervia flying the F-16s with the 23° Gruppo, hosted MiG-29A/UB 'Fulcrums' from the 59th TFW of the Hungarian Air Force. 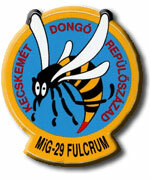 The occasion for this squadron exchange (October 2-13, 2006) was the NATO exercise LONG STEP 2006. The Italian and Hungarian pilots improved their experience with two daily sorties, consisting of four F-16s and two MiG-29s. Also AMXs, Eurofighters and Tornados took part in the exercise. 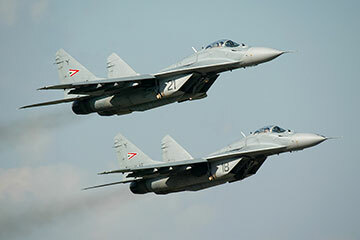 The 59th TFW based at Kecskemet received their first MiG-29s in late 1993 to substitute the old MiG-21s. 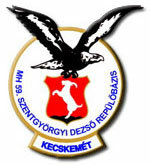 In September 1994 the first squadron was operational and in 1995 the second one became combat ready. Nowadays, the wing operates two squadrons: The “Dongo” (bees) flying the MiG-29A/UB and the last L-39ZOs and the “Puma”, now undergoing conversion to the new SAAB JAS-39 Gripen, granting full inter-operability with NATO standards. Even though the Fulcrums have been updated and are scheduled to fly until 2010, they are not fully operational within the NATO standards. The Hungarian Air Force estimates to be combat ready with the new Gripen aircraft by the end of 2009. Photos taken during a A.A.F.G. visit.